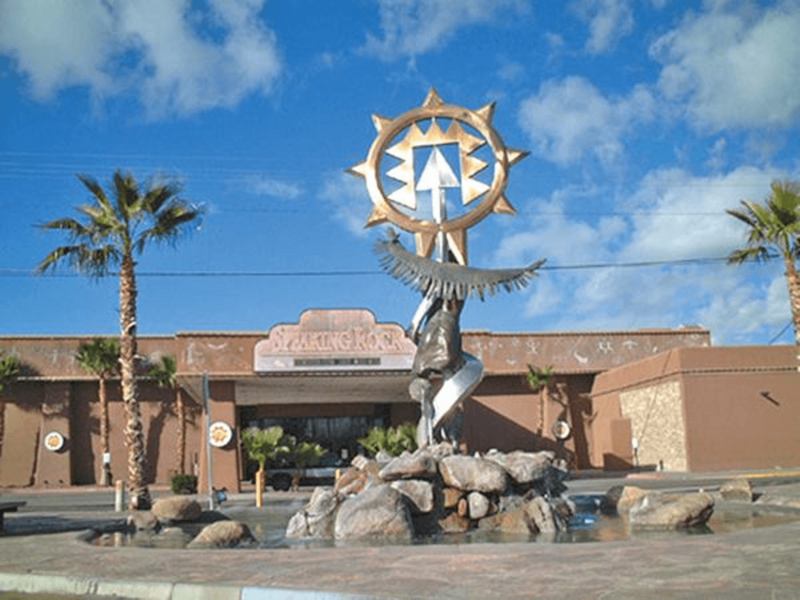 The Ysleta del Sur Pueblo tribe — also known the Tigua Pueblo — has been dealt a body blow in its 25-year battle with the State of Texas over its right to operate casino-style gaming on its El Paso reservation, Texas Monthly reports. On Thursday, US District Judge Philip Martinez issued an injunction to halt casino operations, ruling that the class II bingo and gaming machines at the tribe’s Speaking Rock Casino were illegal under Texas law. But Martinez highlighted one path still open to the tribe: appeal to Congress to have the law that recognized its sovereign status changed. The tribe was granted federal recognition in 1987, along with the Alabama-Coushatta, also of Texas. But the act that granted these two tribes sovereign land did so under the provision that “gambling, lottery, or bingo, as defined by Texas’ laws, on the tribe’s reservation and on tribal lands” would be prohibited. The timing was brutal. A year later, Congress passed the Indian Gaming Regulatory Act (IGRA), which paved the way for the tribal gaming industry as we know it today. 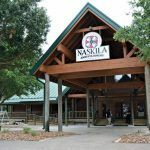 Both tribes have been engaged in decades-long legal battles with the state to hold onto their modest gaming facilities. In contrast, the Kickapoo Tribe of Texas — recognized just two years earlier, in 1985 — has been permitted to operate its own gaming operations on the Rio Grande border with Mexico with impunity for 20 years because it is not bound by a no-gaming clause. 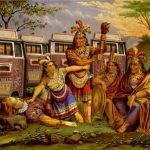 The Tigua and the Alabama-Coushatta have argued that they were coerced into agreeing to the Restoration Act because some members of Congress threatened to block the passage of the act unless they accepted to the no-gaming provision. Speaking Rock was first ordered to close in 2002 after lengthy court battles, but that ruling declared the facility could offer games that were legal in Texas, such as bingo. The Tigua reopened the property with slot-machine style games which the tribe argued were sweepstakes or bingo games that were compliant with state law. It is these games — along with the high-stakes bingo games conducted at Speaking Rock — that the court declared to be illegal last week. Back in 2002, the tribe was defrauded by notorious lobbyist Jack Abramoff of $4.2 million. Abramoff told the tribe he could get Congress to approve their gaming operations, but at the same time he was also lobbying Texas lawmakers to oppose Tigua gaming. He was sentenced to six years in prison for scamming the Tigua, along with several other Native American tribes, serving 43 months. Texas Monthly reports that the Speaking Rock remained open on Friday, but the future of its operations is deeply uncertain. looks like gravy train is over ? do they pay taxes ? what will happen to all those employees that harrass ones saying they are going to indirectly push ones off their properties ? going to own the entire neighborhood ? sovereign nation ? they dont jave any real power do they ? they are regulated by the state of texas right ? forced on a itty bitty properties ? after hundreds of years as a tribe why did they take so long to make real money or pay someone who they did not research well enough 4.2 million for what ? they were taken ? scammed ? they were called what moronics ? why ? the states of texas still dictates on sovereign land ? lol . in my opinion the tribe indicates they are sovereign ? then why is the federal government control everything they do on sovereign land ? 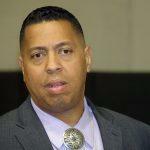 dept of indian affairs still controls indian tribes in usa ? good point ? what real power does a bunch over weight men dictate to the state of texas laws ? or federal judges decisions based on state laws ? hmm ? they dont have any power . I hear customers are going to sunland casino ? 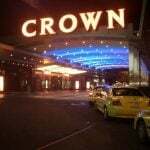 or other real casinos . in California , Pachanga and morongo casionos sure play ball with the state ! see ? they did not well research their tribes council members did not get along or just believed everything they were told ? dahhh ? effect ? hey I will sell your tribe dirty blankets for half price ? or at cost ? I bought them at a thrift store ? or at the boarder ? si senor ? lol . you better make a deal wit the state of texas and give half or get nothing when the feds take your sovereignty due to a legal technicality ? who knows ? get with the program ? the day will come when us marshals armed come with guns ordering the shutdown ? the feds have full authority ? yes they do ! remember stone s home invaded by feds ? thats real power ! everyone is controlled in some way in this nation right ? they are not sovereign .